Looking the part of the blushing bride is easier said than done. The beauty of the bride is in the hands of one person – the makeup artist. That’s why you need to check a few things before you look for your perfect match. 1. Word of mouth is not enough, trial is necessary: Your sister or neighbor may have got her wedding makeup done from some makeup artist, but that doesn’t mean that you pick the same one. Your skin type is different, your ceremony is different and of course, your dress is different! What worked for them may not work for you. So when you get in touch with your makeup artist, ask for a trial run. This will give you a chance to see how they work with your skin tone, how much time they take to give you the turnout you need, which are important questions for your wedding day. 2. 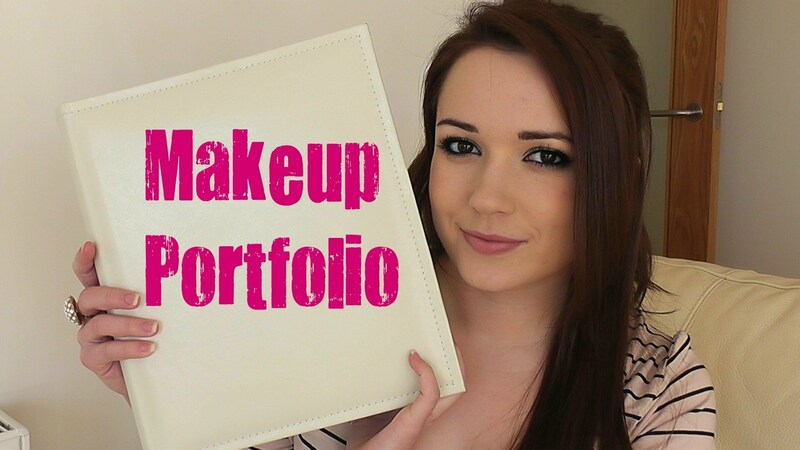 Check their blog/folio: In this day and age, a makeup artist without a portfolio or a blog is weird! Being tech savvy is not a necessity when it comes to makeup artists, but this makes you wonder whether they are hiding something. If they do have a folio, feel free to ask for the link or an album so that you can see whether you will like their work. If they have a blog or an online folio take your time to go through it and compare with others before you get back to them. 3. 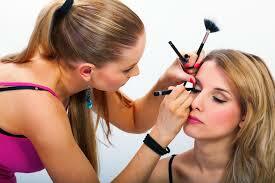 The tools make the artist: A good makeup artist uses great products. These products last longer and give a better finish especially under the glare of camera lights. For your wedding day, stick to the best brand because there are no risks too small. 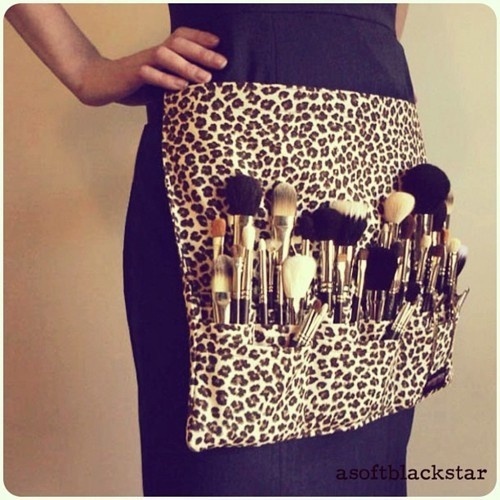 During your trial run, keep an eye out for the products she uses and the tools she carries. Even if you don’t understand makeup, the technique and the result will soon tell you exactly what you need to know. 4. Stinging on your makeup artist may cost you: Most brides these days tend to skip the “bridal packages” because they think they are expensive. While that might be true in a lot of cases, there is a reason for it. Choosing one makeup artist because they are cheaper is not the wisest decision. An artist needs to be evaluated on the basis of talent, not just fees. On your special day, when other things like your dress and venue have already cost you quite a bit, spending a little extra on makeup might not be a bad idea. Chances are, you won’t regret it. 5. Do you get along? : From the first contact you establish with your makeup artist make a note of how they are as a person. Trusting someone to create your wedding day look is a big deal and if they are rude or otherwise unapproachable, you might be in a fix. Pick someone you can easily get along with and who gets you. It will be easier to tell them what you want and you will be much less stressed on the day before the wedding! 6. What happens in case of a last minute cancellation? : Anything can go wrong. If your makeup artist is from a salon, they will send a replacement. But what happens if they work solo and have to cancel on your wedding? Emergency can strike at any time and you know you can’t blame them. That’s why it’s better to know, isn’t it? Be sure to ask your makeup artist this. Most of them will provide a back up – a friend or an assistant – and while that might be a blow, at least you will not be left hanging! 7. Show them your outfit: A lot depends on your outfit. The colors your makeup artist uses to the heaviness or lightness of makeup are all derived from your wedding dress. So when you are briefing your makeup artist about what you have in mind for the wedding, be sure to turn up with your outfit. If you don’t have it for some reason provide a photo or a very close reference, so that they can make sure your makeup look is really meant for you. It’s your special day, so remember to be honest! If you don’t like something about your look, just say it. Your makeup artist will fix it and you will be back to your radiant, confident self.